For our first afterschooling art lesson, I wanted to do a project that we could use to decorate the walls of our new art/craft room. 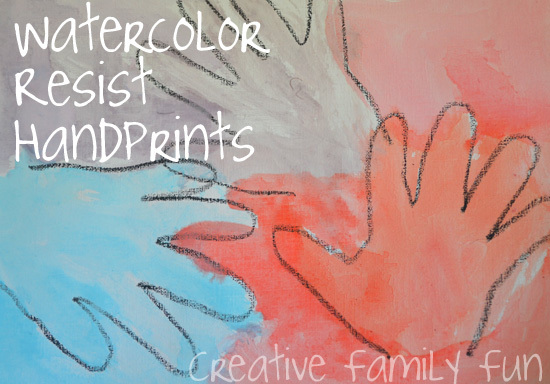 I first saw the idea of doing watercolor resist hand prints on Fairy Dust Teaching and had been waiting for the perfect opportunity to make these ourselves. We started with a couple of sheets of watercolor paper. The type of paper really does make a difference when using watercolors. If you don’t have watercolor paper, use the thickest paper you have. Our first step was to trace our hand prints. The girls decided where they wanted their hand prints and how many they wanted on their paper. 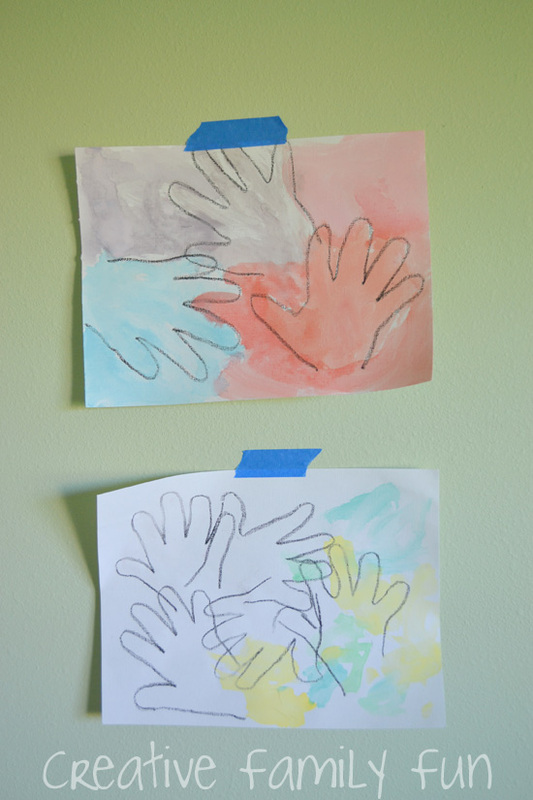 I helped them out by tracing their hands with a black oil pastel. 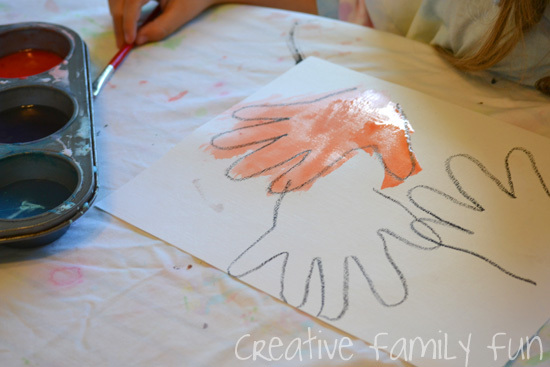 Once we had our hand prints traced, the girls got to work with our watercolors. 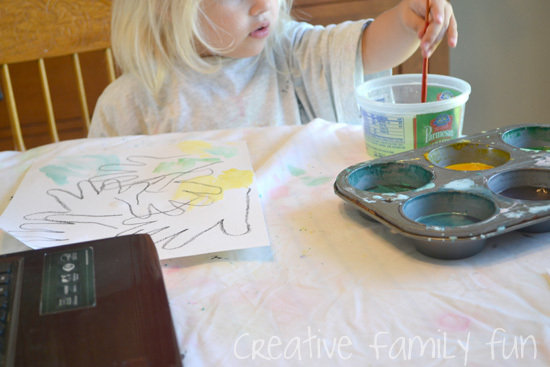 We made our own watercolors using this recipe from Happy Hooligans. They work so much better than the watercolors you can find in the school supply section of your store! When we were done we had some wonderful artwork to hand on our wall. I can’t wait to fill the wall up with more art! When I was a kid, I also have done this in school and I hope our kids will also experience it.